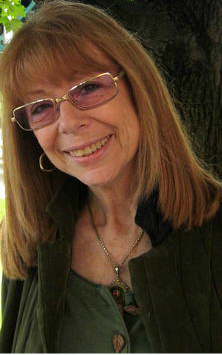 Andrea is available for television, radio and print media interviews, and offers articles for reprint with permission. She welcomes inquiries from any media wishing to inform and inspire their audiences. Andrea has written and hosted The Healing Power of Herbs, for television, and Revealing Secrets for Mind and Body, for radio. Her articles and Q&A columns have been regular features in the print media and on national websites. She has been interviewed on national television and radio, BBC-London, and been featured in newspapers and magazines such as The New York Times, The New York Post, USA Today, Natural Health, Self, New Woman. Awarded The National Parenting Center’s Seal of Approval, it is a comprehensive guide to natural remedies for children’s health issues. For a signed copy, click here. Executive Board of the Holistic Resource Network, Inc. Publisher of Holistic Resource Network Directory for the Tri-State Area, an annual professional listing of healthcare practitioners. Radio Interview about Lyme Disease…My clients are often asked to talk about the approach they are using to address chronic Lyme Disease utilizing the vibrational remedies I work with. I know it can be difficult to describe. Here is a brief radio interview that will help enlighten those with whom you would like to share this information. Please click on WholisticPhysicalTherapy.com and scroll down to Andrea Candee – Master Herbalist. CLICK ON ARROW TO HEAR INTERVIEW. The interviewer is Scott van Niekirk, owner of Wholistic Physical Therapy in Brewster, NY. Scott is an excellent physical therapist. More information can be found about him and his approaches on his website. How a banana can remove a splinter.